GANTNER focuses on winch fabrication for various purposes in the offshore, mining and construction industries. The company has 65 years of experience in winch construction and developing complete systems, starting from design to installation, according to the client’s requirements. GANTNER develops and manufactures a large number of specialised winches for mining, crane constructions, vessels, and drive systems. The company also provides a broad range of winch construction services. Using extensive in-house knowledge and combined competences in design, development, and manufacturing, the company produces high-technology machinery and in-house developed control systems. Every step of a special winch development is accompanied by an integrated project management. GANTNER fulfils all customer requirements for custom winch systems. 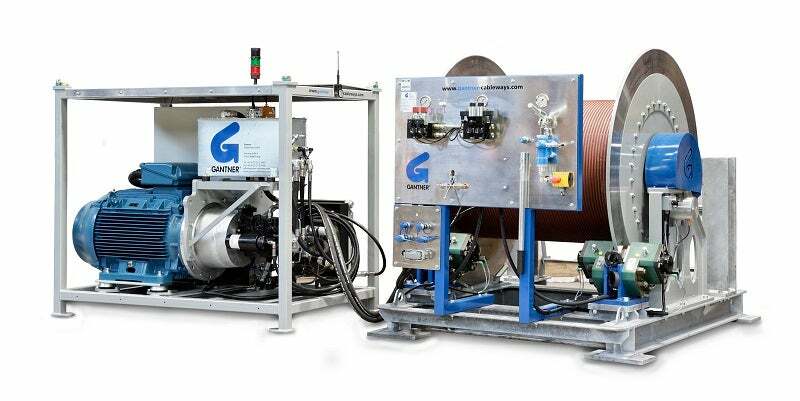 GANTNER winding equipment includes electro-hydraulic, diesel-hydraulic and electro-mechanical winches, or winches hydraulically driven in an open and closed loop. Remote controls, mooring systems and telephone maintenance services are also available. The company uses high-quality components in its winches, such as state-of-the-art power drives, plug-in gears, and disc brake and grooved drum systems. GANTNER winch systems are built to a high quality, safety and reliability standards. The company incorporates durable components throughout production and performs extensive quality tests at its testing centre. Each winch is constructed for a specific application, to achieve optimal performance. GANTNER is certified with the ISO 9001: 2015 (quality), ISO 14001: 2015 (environment), and Occupational Health and Safety Management Systems (OHSAS) 18001: 2007 standards. As a full-service winch manufacturer, GANTNER offers specialised winches with designs based on proven components and modules. The company delivers a comprehensive service, which is accompanied by a client consultancy process, provided throughout the complete project. GANTNER also designs, manufactures and assembles the complete winch system in-house. The production process also includes software programming and the control-systems, with all safety features included. GANTNER and the LCS Group are pleased to announce they have received three very important certificates during the last year. GANTNER Seilbahnbau is an Austrian engineering and production company specialized in winch technologies.